2 items tagged "Client Manager"
The most complete and easy to use open source Invoice, Customer and Project management system available for companies and freelancers. Features rival some of the other biggest software providers on the market. Host the application on your own website or in house server. The most complete and easy to use open source Invoice, Customer and Project management system available for companies and freelancers. 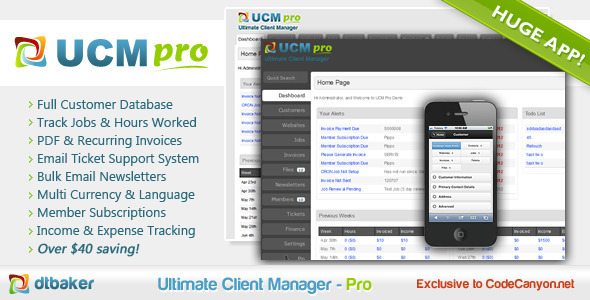 Features rival some of the other biggest software providers on the market. Host the application on your own website or in house server. Pay once, free upgrades forever!